…On this page, I’ll discuss the benefits of flat/incline/decline weight benches, the exercises you can do on them and what to consider when you’re shopping for one. UPDATE – March 2019: I’ve just completed a much more in-depth guide to adjustable weight benches with reviews that I highly recommend you check out. It has newer and much more detailed information on what to look for when buying an adjustable bench. At the end of this page, I’ll also tell you a bit about my Body Solid GFID31 weight bench (see my Body Solid weight bench review). 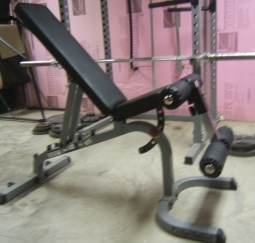 A quality adjustable weight bench is a foundational piece of home gym equipment. When combined with a power rack and a barbell with weight plates, you have bare-essentials weight training equipment needed to pursue and achieve your physique and strength goals. I also strongly suggest investing in a good adjustable dumbbell set because you’ll have access to a MUCH greater variety of exercises (at least twice as many than barbell only) that allow you to train your body more evenly and in more targeted ways. Versatility. Adjustable weight benches are extremely versatile. Unlike on (many) traditional benches, you adjust the backrest’s angle from decline to flat to incline to vertical (on some models). Thus, they allow you to perform a much greater number and variety of exercises. And whereas traditional benches have uprights that can get in the way when attempting dumbbell exercises, adjustable benches are obstruction-free and perfect for using dumbbells. Mobility. The typical adjustable bench comes standard with built-in wheels on the base, making it a sinch to lift up one side and roll it to your desired destination. This is helpful because it cuts down on the hassle of shuffling equipment around. To give example scenario: You can roll the bench out of the power rack squats, push it back in for bench press and take it right back out for reverse flyes – no straining required. This wouldn’t be possible with a traditional bench, because 1) it would be too heavy to move (easily), and 2) it wouldn’t even fit inside a power rack (not to mention it wouldn’t even make sense to put one inside a rack in the first place!). Storability. This one’s related to mobility. An adjustable bench is easier to store than a traditional bench, not just because you can simply roll it out of the way when you’re done, but because of its size: It’s significantly smaller and is also compactable to a certain degree (i.e. folding the backrest up makes it shorter). This is essential if, like me, you need to move your equipment out of the way when done working out, because it’s located in a “multi-purpose” area of your house. Affordability. 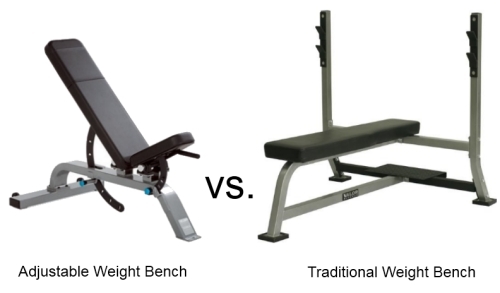 If you take two weight benches – a good quality adjustable bench and a good quality traditional bench – the traditional bench will almost always be the more expensive of the two. Not because it’s necessarily better, but it’s a lot bigger and heavier because of the extra steel needed for the frame. The extra steel makes it more expensive to make the bench, and thus, the adjustable bench wins in the price category. …and these are just exercises that I can think of, off the top of my head. Don’t Be Cheap! If you’re in the market for an adjustable weight bench, do yourself a favor and avoid the the cheapo stuff like the plague. If you’re serious about training, then you absolutely need something that is strong, durable, stable and comfortable. 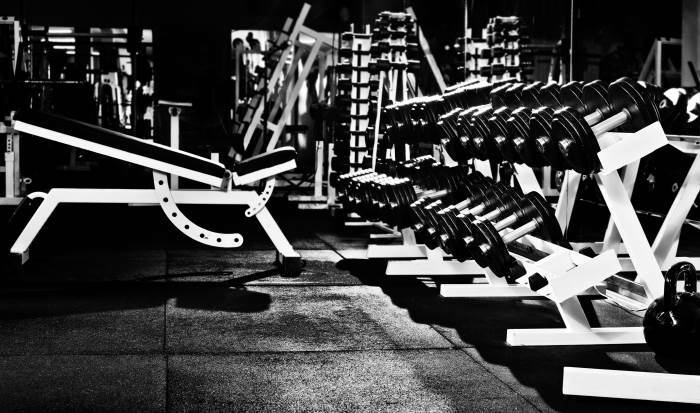 Your weight bench should last you through many years of hard training. So, invest wisely in a quality product. You don’t want to deal with something that will start to wobble, rip, bend, crack, or otherwise break down, shortly after you start using it. I went the cheapo route when I bought my first bench. It ended up holding back my bench press progress because the backrest would wobble from side to side a lot, while I benched. After I finally got tired of this, I decided to scrap it and ante up for a home gym upgrade. This obviously meant getting a new weight bench, but I bought my power rack at that point, too. Note: You don’t need specific criteria for all of the above listed categories. They are just suggestions to get you thinking. The idea is to narrow down your options, so that you can find the right bench, with greater ease. Once you’ve (more or less) figured out what you want, decide how much you’re willing to pay. Finally, judge any benches you look at against your budget and criteria, and choose the best match. Try It Before You Buy It. It’s a smart idea to go for a “test drive” on your bench before buying it. No, that doesn’t mean taking it for a spin around the block or down the interstate, attached to a moving vehicle. Rather, check if any nearby fitness equipment or sporting goods stores have the bench you want in stock and on display. If so, then try it out and see how it feels. This may not be possible for you. But if it is, I urge you to take advantage of the opportunity. …In fact, the only thing I really regret is that I didn’t buy it earlier; instead chancing my safety on a rapidly deteriorating gym setup. If you are looking to buy an adjustable weight bench, I highly recommend that you give serious consideration to the GFID31. Though I give high praise to the GFID31, it is not perfect for everyone. And like any product, it has its own unique set of pros and cons, which need to be weighed against your needs and wants. I urge you to check out my Body Solid GFID31 weight bench review, where I explain my opinion on it and thoroughly discuss its pros and cons. If you already know you want this bench, then you can buy it on Amazon.com. Thanks for the detailed guide man, I strongly agree with your comment about not being cheap. My last bench lasted for a few months because I bought a cheap one. No problem, Jack. Happy to hear you liked the guide. And thanks for sharing your experience.